Sauls | Scuffalong: Genealogy. Sauls – Scuffalong: Genealogy. C.D. 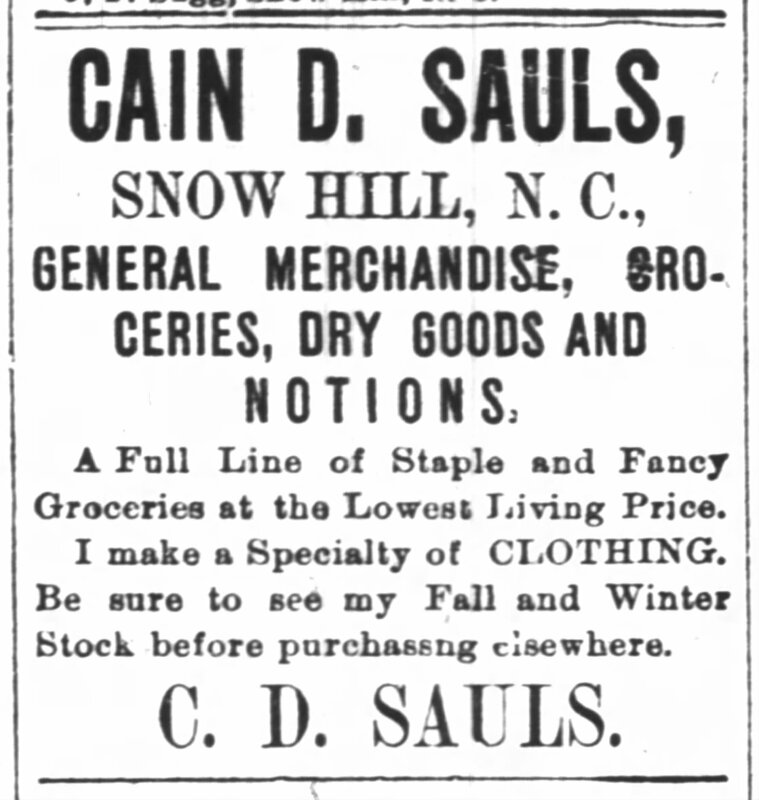 Sauls, influential colored man of Snow Hill, invests. 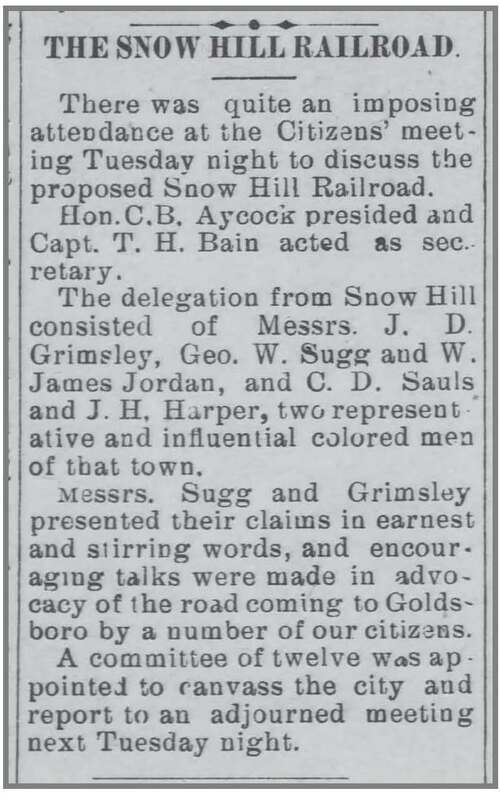 Goldsboro Weekly Argus, 15 April 1897. A little over a year later, North Carolina’s secretary of state approved the incorporation of the Great Eastern Railway Company, which planned to build and operate a 130+ mile railroad passing through Johnston, Wayne, Greene, Pitt, Beaufort and Hyde Counties. Among the 25 stockholders incorporating the railroad? C.D. Sauls! 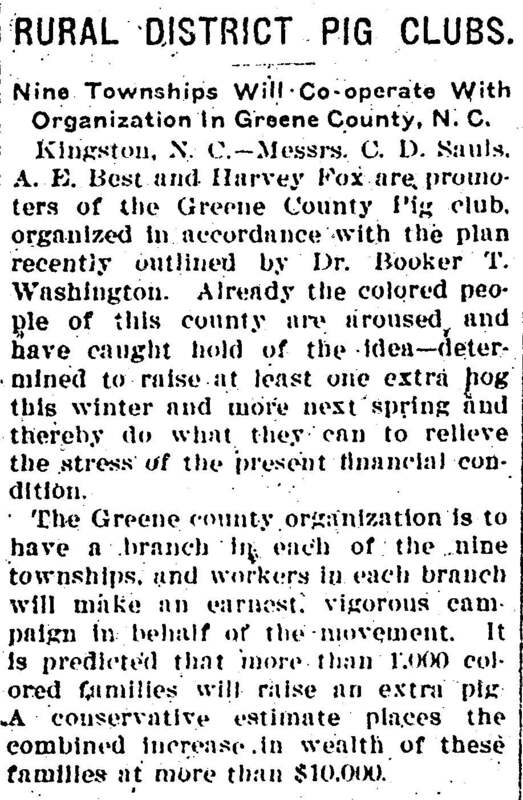 Raleigh Morning Post, 15 October 1898. When I was in North Carolina for my mother’s birthday, we had a great visit in Greene County with my new Sauls cousins. 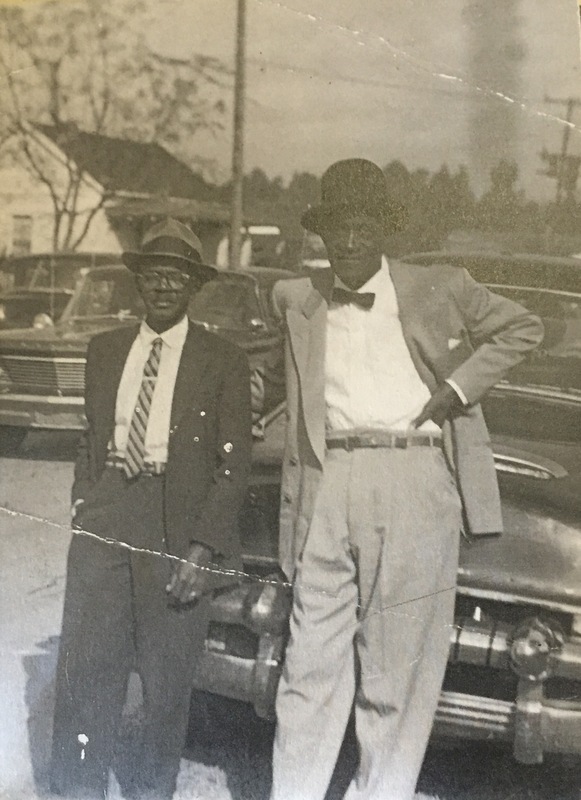 Before leaving, I made a copy of a photo of Isaac Sauls Jr., cousin Andrew’s father — carpenter, mill owner, farmer and all-around shrewd businessman. Photo courtesy of Andrew Sauls. Grocer, farmer, investor, columnist, race man. Cain D. Sauls wore many hats. 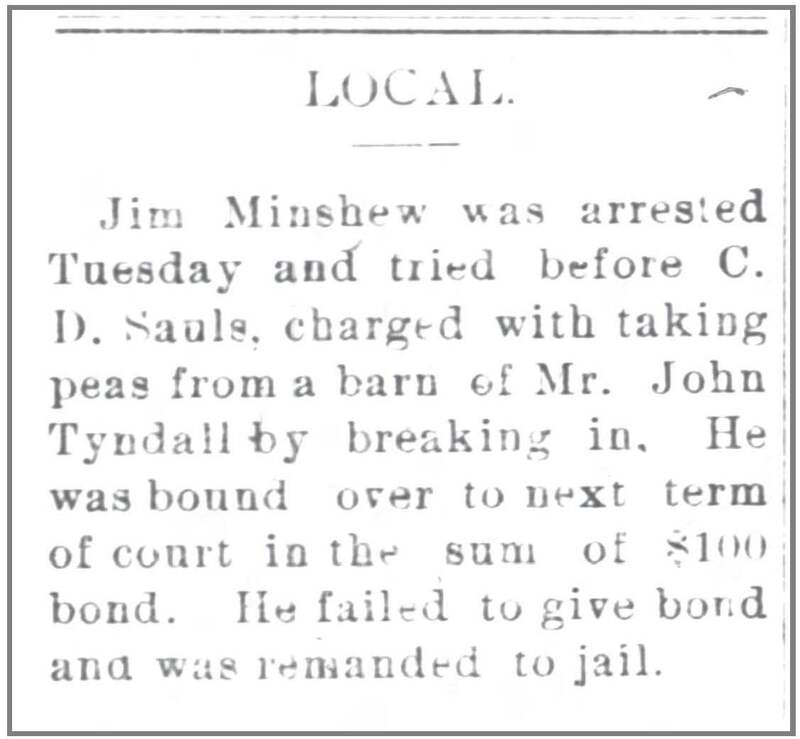 As this brief newspaper article reveals, justice of the peace was yet another. Great Sunny South, 25 March 1898. General merchandise, groceries, dry goods and notions.